Here’s a beautiful way to show your love for dogs. 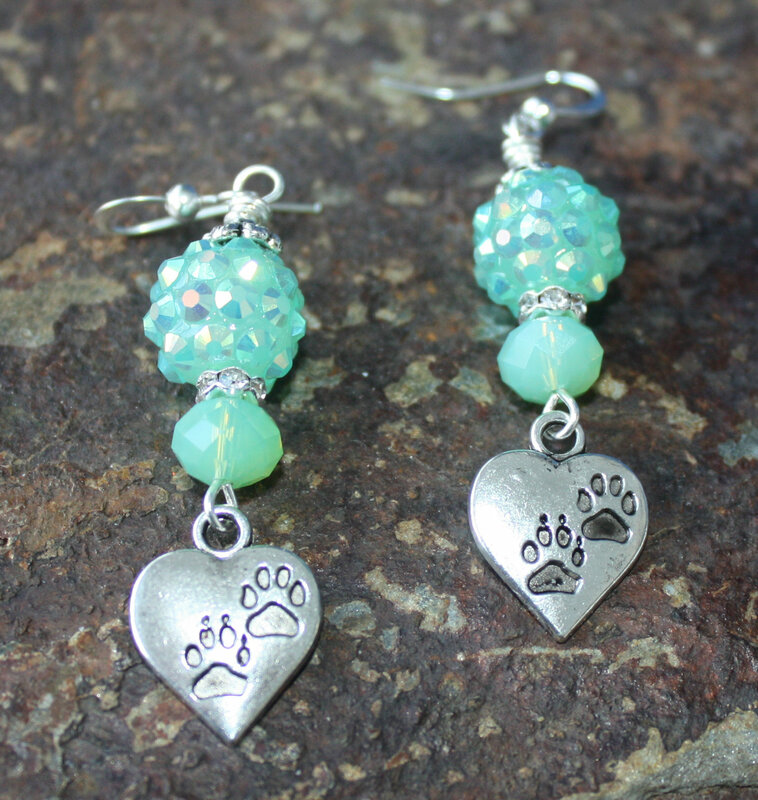 Paw heart charm is accented with sea glass stones and sea glass bling. You can wear casual or dressed up. 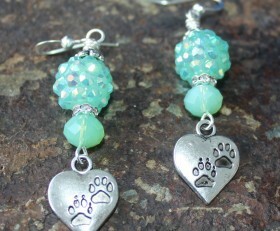 Categories: Animals, Dog Earrings, Dog Lovers Jewelry, Shop.